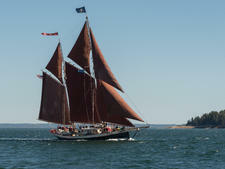 Stephen Taber has been in continuous service since its launch in 1871 and is a National Historic Landmark. 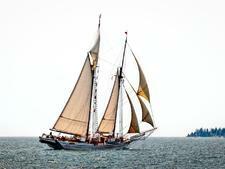 During its long history, the ship has been used to transport goods, as a private charter and as a passenger vessel. For the last 38 years, the ship has belonged to the Barnes family, with Noah and Jane Barnes serving as the second-generation hosts; Captain Noah has sailed on the ship since age six. 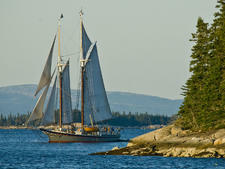 Stephen Taber's cruises last between three and six nights from late May to mid-October, sailing from Rockland Harbor, Maine. There are a number of themed cruises, including a wine, dine and chocolate cruise; music cruises; lighthouse and photographer cruises and wine appreciation cruises. Stephen Taber's overall length is 110 feet, including 68 feet on deck and a 22.5-foot beam. 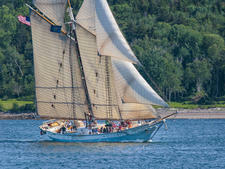 Because it's a centerboard schooner, the Taber is able to negotiate shallow, secluded areas not accessible by larger schooners. 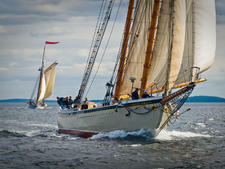 There is no inboard engine, but the captain keeps Babe, the yawl boat, close in case Taber needs a push. Stephen Taber's course is determined by the wind and tide, and the Barneses say they have not repeated a trip in the last decade. Plans can change hourly. Passengers can help sail the boat, soak in the scenery and nature around them, or choose to relax on deck or in the ship's main salon or library. 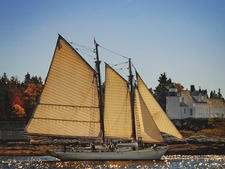 The schooner carries two traditional Whitehall rowing boats and two stand-up paddleboards. Weather permitting, the ship gives passengers options for daily excursions ashore at the various ports of call. Stephen Taber can accommodate 22 passengers, offering two single cabins, four cabins with double beds and six cabins with twin beds. All cabins have a window, sinks with fresh running water, and reading lights. Varnished wood is a theme throughout the vessel. 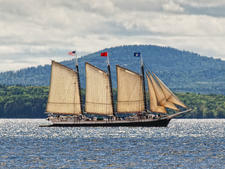 The ship has a reputation for excellent cuisine and has been featured on The Food Network, Rachael Ray and the PBS series "Culinary Travels with Dave Eckert." A typical dinner might feature fresh salmon with toasted hazelnut beurre blanc, braised short rib or hand-rolled pasta with lamb shank rague. A lobster bake is part of every cruise. All breads and desserts are baked in the galley's vintage wood stove. Wine is served every night with dinner. Passengers can also bring their own beverages aboard.